Its always great to see York people ‘out and about’ making connections and supporting other’s events. 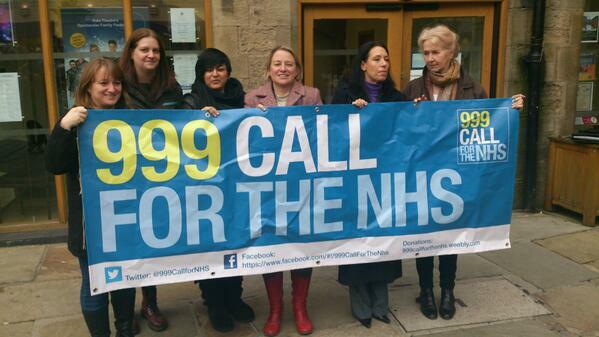 On Saturday, a delegation from Defend Our NHS York attended the ‘999 Call for the NHS’ rally in Durham. A wide range of speakers including Green Party leader Natalie Bennett and Labour health spokesperson Debbie Abrahams MP addressed the crowd (pictured 3rd & 4th from right). Abrahams promised that Labour will repeal the Health and Social Care Act and make the NHS the preferred provider, though not necessarily to close the door on private providers.